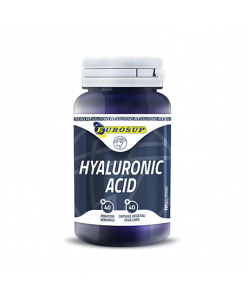 Hyaluronic acid (40caps.) Product Description Food supplement indicated for low intake of hyaluronic acid in the diet. Food supplements should be well designed, safe and high quality. Eurosup has operated for decades in one of the most tightly regulated markets, so quality and safety are our priorities and our main goals..